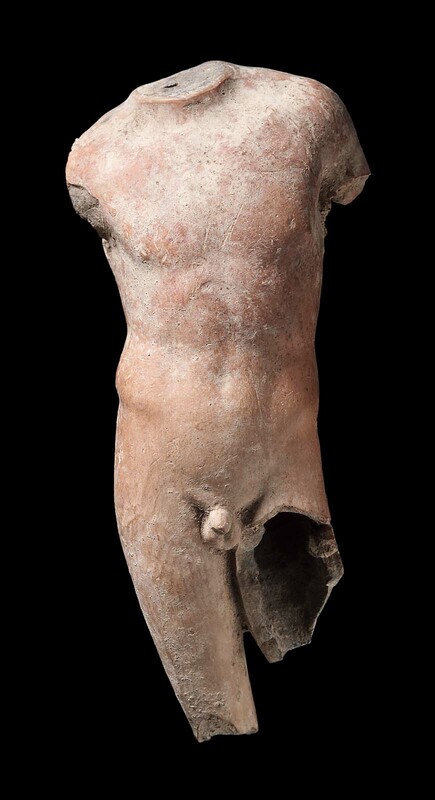 Torso of a youth lacking head, arms, left leg, right leg from knee. Praxitelean pose. Break behind left shoulder shows attachment of a wing.